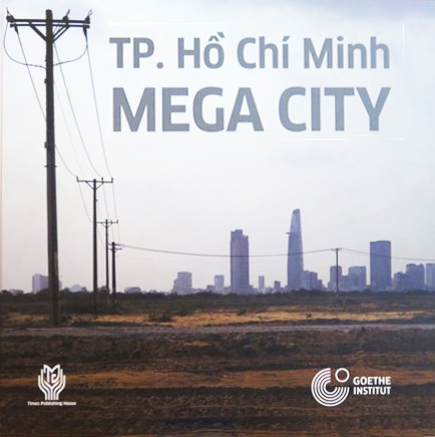 Photo book on the urban development in Ho Chi Minh City, in collaboration with Goethe Institute Hanoi. "Welcome to Ho Chi Minh City, the vibrant economic metropolis and biggest city of Vietnam, which recently emerged as the country’s first mega city. Now, Ho Chi Minh City stands head to head with other mega cities such as New Dehli, São Paulo or Mexico City. Ho Chi Minh City is rapidly changing against the backdrop of globalization, but has preserved an almost rural character in many of its small alleys. For many people, the mega city is a place of hope for a better future, a small share of new welfare. Can these dreams be fulfilled if the number of inhabitants continues to rise by millions and climate change is flooding entire city districts? This book invites the reader on a journey through the familiar and lesser-known aspects of this fascinating city to witness its vibrancy and dynamism. Allow yourself to be taken by endless stream of traffic, which while chaotic, barrels forward, just like the city of Ho Chi Minh itself."